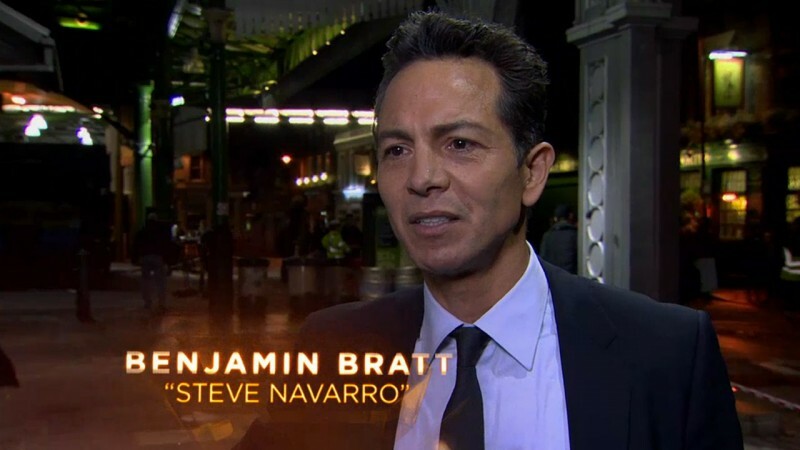 Benjamin Bratt and director Milan Cheylov take you behind the scenes as Navarro escapes onto the streets of London, grabs a machine gun out of a soldier’s hands, and starts firing. 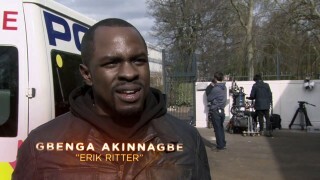 “We’re shooting here on a London street where people are outside pubs right now, they’re watching the sequence. It’s an exciting atmosphere, it’s good to see the crowd is getting into it,” says star Benjamin Bratt. “The thing about 24, it’s real; they try to keep the scripts and everything real. And Kiefer always wants to keep it real. So Kiefer and Benjamin, they’re both doing all this stuff themselves,” says stunt coordinator Mark Mottram. “Kiefer is probably the most physically gifted actor I’ve ever worked with – nobody handles a gun like him. Benjamin’s a very physical guy as well, so to have two athletes in this scene and two fantastic actors just sort of adds another layer to it,” said director Milan Cheylov. 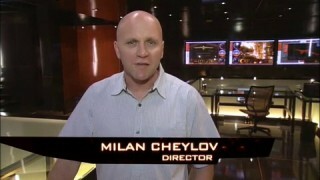 Behind the scenes video of 24’s fourth episode with Yvonne Strahovski, Adam Kane, Mark Mottram, and Stefano Pepin. As said John, download the Hola extension and you will be able to watch this with no problems.